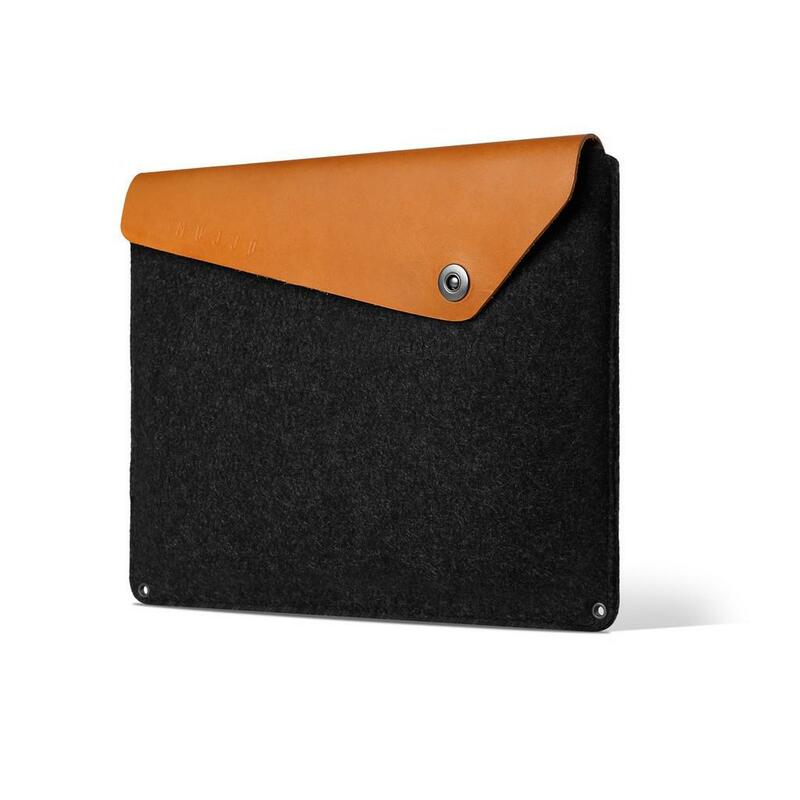 The 13" Macbook Air & Pro Retina Leather Sleeve in tan color is a piece of the Understated collection of leather sleeves designed by Mujjo for Apple devices. 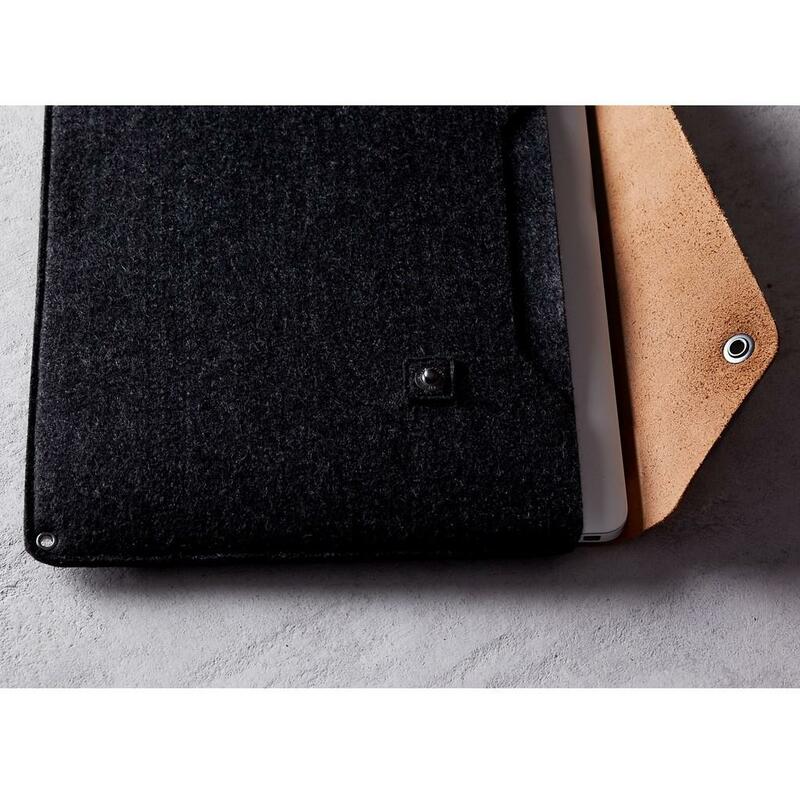 The 13" Macbook Air & Pro Retina Leather Sleeve is crafted out of a unique combination of felt and vegetable-tanned leather. 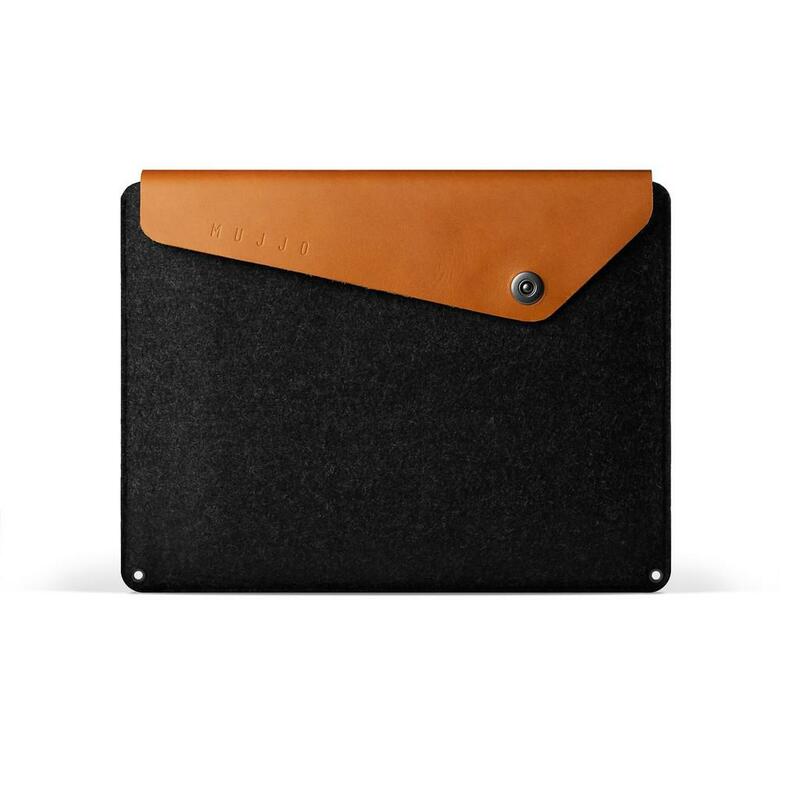 It is designed to fit both the 13" Macbook Air and the 13" MacBook Pro with Retina Display. 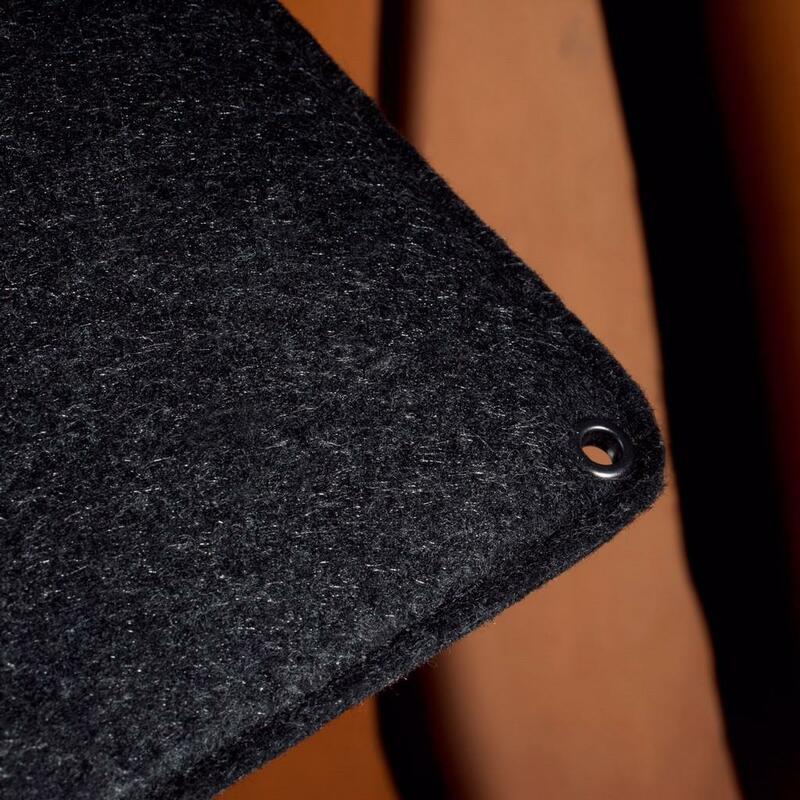 Snaps and rivets are lined to keep your iPad from touching anything but soft, thick felt. 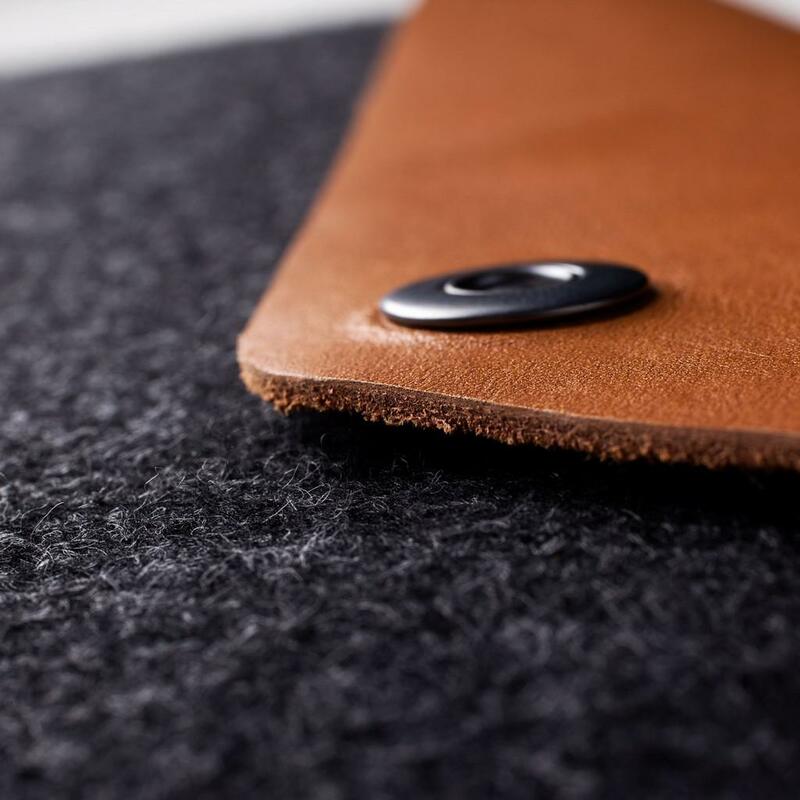 The leather flap, with one snap button on the right, provides a simple closure and keeps your device secure. 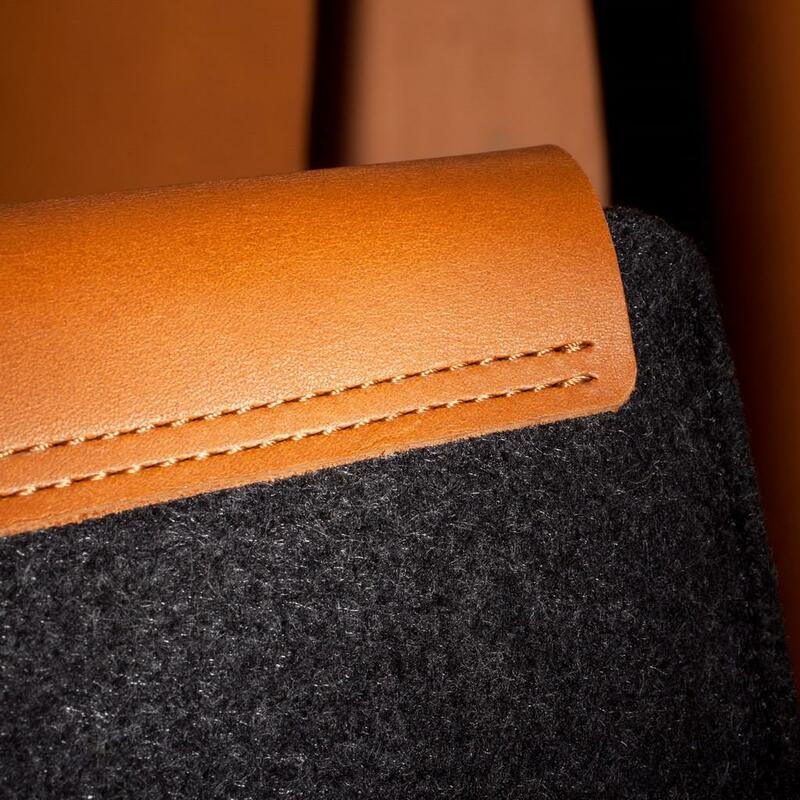 When you take the sleeve in hand, you’ll instantly notice the quality of the materials. 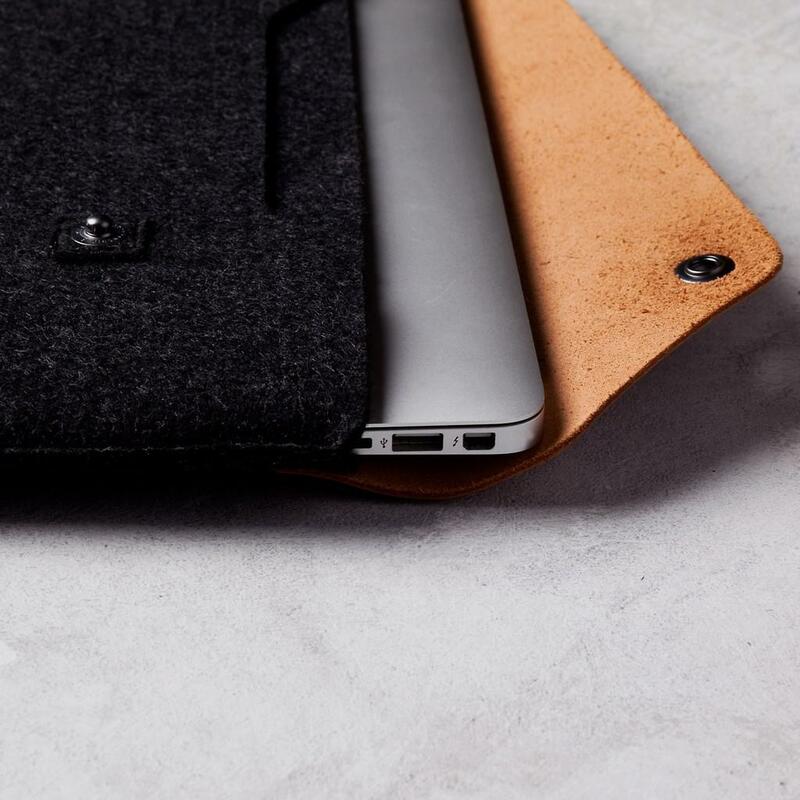 The 13" Macbook Air & Pro Retina Leather Sleeve features integrated storage compartments allow you to store documents, earplugs, and other essentials. 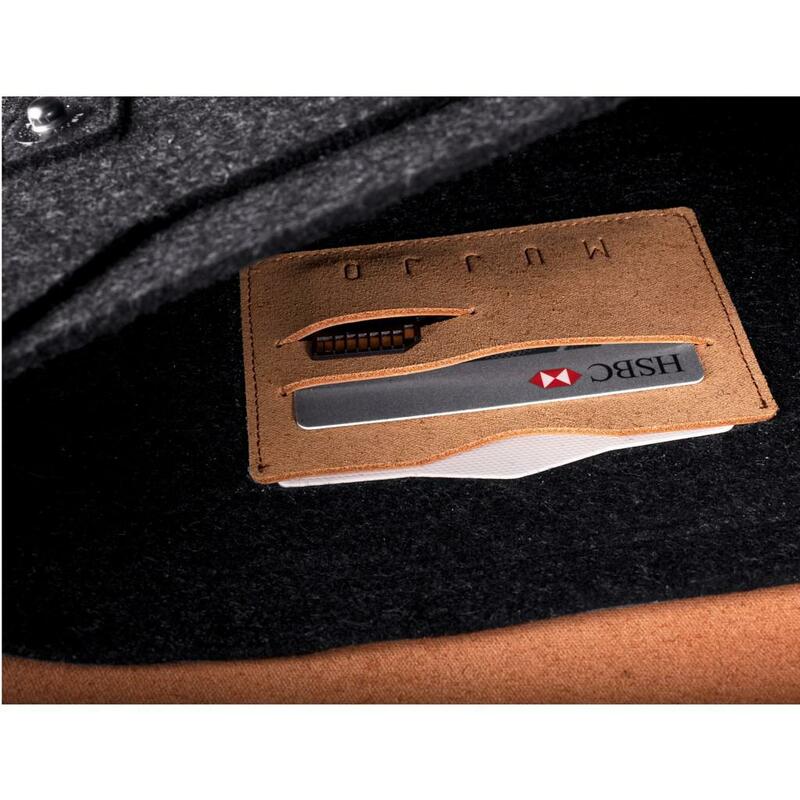 As an additional feature, we’ve integrated slots inside the sleeve to store bank/ID cards as well as a SD card. 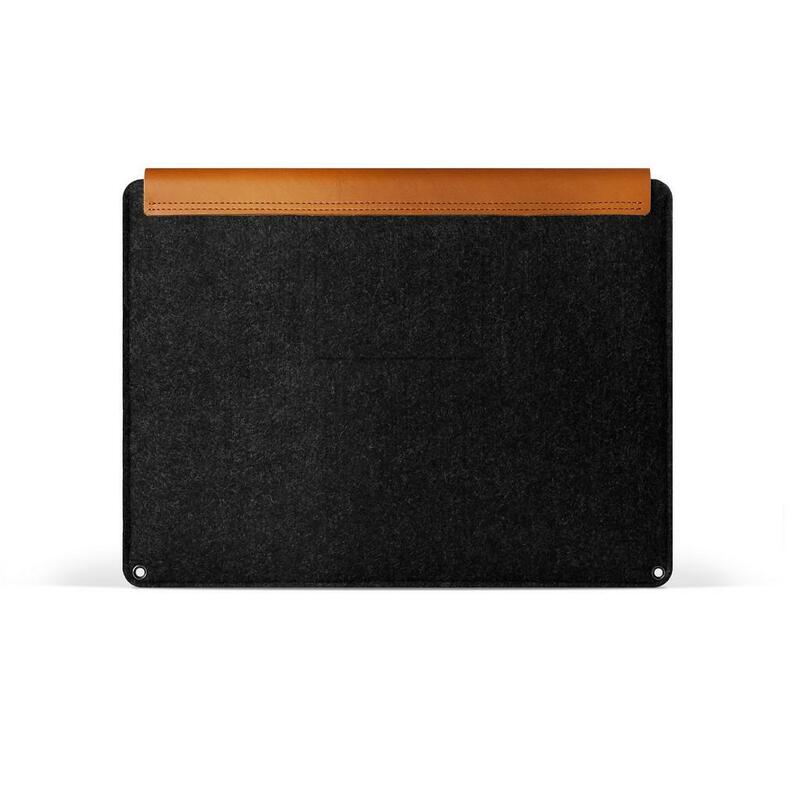 The vegetable-tanned leather used for the 13" Macbook Air & Pro Retina Leather Sleeve is manufactured with care, waxed to extend durability, and carefully treated with aniline oil to enrich 'color tones'. Vegetable-tanned leather wears in with use and acquires beautiful patina and polish over time, as it becomes part of your daily life. The Understated is true to Mujjo’s intentions for a contemporary and remarkably simple and minimal design. The products don’t shout, ‘look at me,’ but rather calmly hint craftsmanship through their sleek lines, seductively understated appearance, and noticeable quality of the materials. 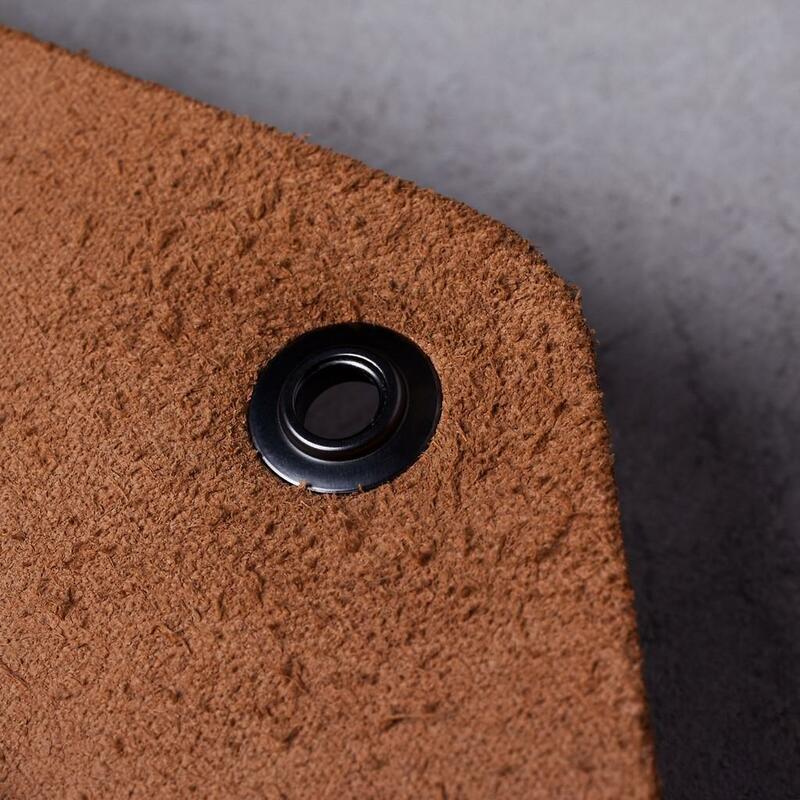 Material: Leather (full grain vegetable tanned), Felt. For the 13" MacBook Air and 13" Macbook Pro Retina.